Every guest is special, but we go the extra mile for the extra special guest.If you have any health or mobility worries about your flight, you’ll find the information you need for a smooth journey right here..
We would like to make every one of our guests’ journey a comfortable one. If you require special assistance right before, during and after your flight, kindly notify us upon ticket reservation so we could make the necessary arrangements. 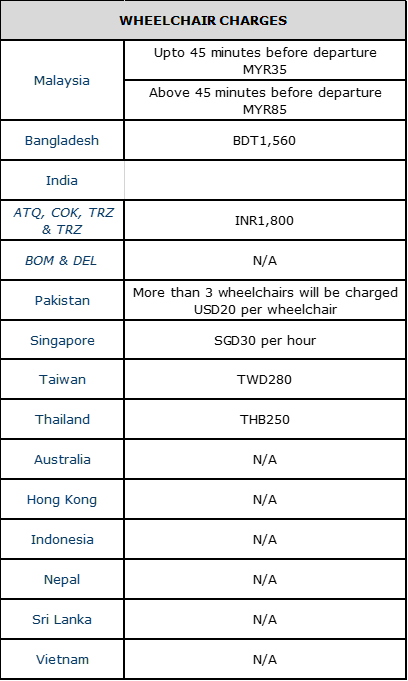 Malindo Air will make its commercially reasonable efforts to accommodate any special needs you may have. Let us know how we can help make your journey a fuss-free one by writing in to customer_care@malindoair.com or contact our Call Centre at +603 7841 5388 (8am to 10pm daily, GMT +8) upon making your booking, up to 48 hours prior to departure. For guests who require assistance with mobility, we are open to making special arrangements to ease their journey, such as allocated front seating and wheelchair-friendly services. Should you need assistance with a disability or any additional ground or in-flight support, please notify our service staff beforehand. Note: More critical cases of passengers with walking disabilities may require medical clearance from a doctor before they are allowed to fly. To find out more, please enquire with our Call Centre at 03 7841 5388 or email customer_care@malindoair.com. If you are diabetic, you are allowed to carry sufficient insulin, syringes and hypodermic needles onboard as part of your handcarry. However, the items must be accompanied with a doctor’s letter confirming the requirement to carry the items. Please note that these items must not be disposed of onboard the aircraft. As diets for diabetics vary considerably, please inform us at least 24 hours in advance of your meal requirements to be prepared by catering. To check whether you or a companion is medically fit to fly with us, please enquire with our staff via email at customer_care@malindoair.com or speak to our staff at our Call Centre at +603 7841 5388 from 8am to 10pm (GMT +8) daily.